It’s not easy to find the top-notch online master of education programs. We know, because we looked, too. A lot of lists you find online seem to assume that a MEd. is basically the same thing as a master of arts in teaching—this isn’t one of those lists. Give your students every possible advantage. Adapt the latest research into your curriculum. Specialize, get an endorsement, or go into administration. You don’t have to move across the country to get your master of education. There are countless online master’s in teaching degree programs that can land you the credentials and expertise you need to start your career. To help you sort through them all, we’ve used data from The National Center for Education Statistics and the average ratings from school-ranking entities like TheBestSchools.org, BestColleges.com, AffordableCollegesOnline, TheBestColleges.org, and GuidetoOnlineSchools.com—so this list of the top 10 online master of education programs is the best of the best. Most teachers aren’t millionaires. 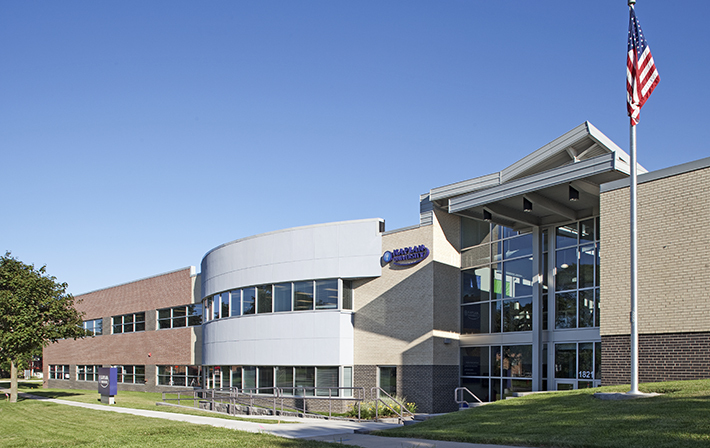 If you want a quality education on a budget, you might want to take a look at #8 on our list, Capella University. Their tuition is several thousand dollars lower than the next most affordable school. Although to be fair, this really depends on how ambitious you are. Walden University (#3 on our list) has an MEd. program that’s designed to be completed in 12 months, so the $12,000 per year tuition is . . . well, your whole tuition. Maybe you just want the credentials. Or you want to make sure that if you’re spending any money, it’s going to pay off in the end. That’s more than OK.
Shockingly, one of the most prestigious schools on this list, Johns Hopkins University, has the highest graduation rate—92%. JHU is #7 on our list. It’s not cheap, but you’ll get an incredible education, and nine out of ten people who go there actually graduate. If you want something a little more affordable that still has a great graduation rate, University of Georgia (#9) is a great choice as well. Liberty University’s master of education program prepares you for leadership roles in public, private, and Christian school systems. You can earn an endorsement through the state of Virginia for administration and supervision, a math specialist endorsement, or a reading specialist endorsement. If you’re not from Virginia, you’ll want to choose classes that meet the requirements of your state department of education. This program isn’t 100% online. The classes are eight weeks long, and three weeks of that are on-campus intensive classes. These intensives usually occur during the summer and winter to align with teachers’ schedules. You’ll complete pre-coursework online and post-coursework online. 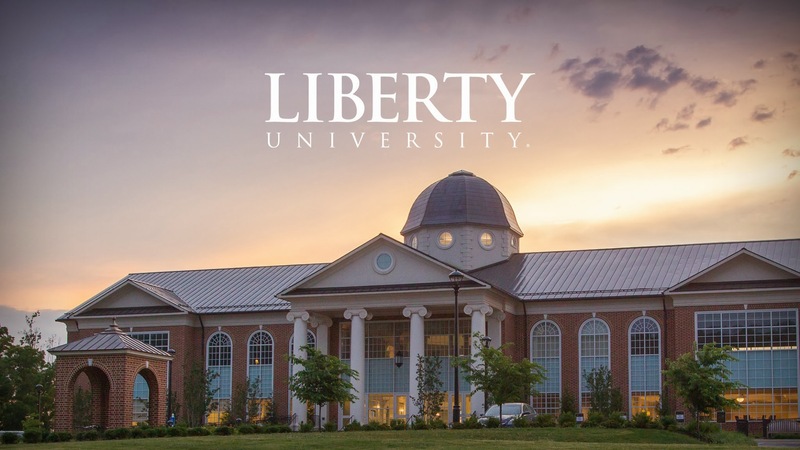 Liberty University partners with hotels (and in some cases, campus housing) and helps you coordinate transportation to and from the intensives. “Our Master of Science in Education curriculum is designed for P–12 teachers in which you will have the power to influence, motivate, and empower future generations. Through sustained learning, job-embedded activities, collegial discussions, and engaging follow-up, you will acquire knowledge and practical teaching skills that can have a positive impact on student achievement. The program is designed to accommodate the already busy lives of teachers, so you can complete it at your own pace, on your own schedule, from wherever you have Internet access. Kaplan University’s program involves evaluating and improving your current practices as a teacher, utilizing the latest research and theories to help your students perform better in the classroom. You’ll explore the “reflective-decision maker” model and navigate various approaches to classroom management and discipline. You’ll also design a curriculum based on a combination of your local and national requirements, and complete a capstone course in which you implement the methodologies you’ve learned in your online coursework. The language and literacy concentration and the teaching students with special needs concentration are for elementary, middle, and high school teachers. The educational leadership concentration is designed for those who want to go into administration. This program does not lead to initial teaching certifications. Students are expected to already have those. Their program is best-suited to current teachers—if you don’t have access to your own classroom, you’ll need to get that figured out before you start at WU. Some of your assignments will require you to have consistent classroom access, and you won’t be given alternative assignments if you don’t have access. Walden University helps you blend a reliance on data with a personal approach to every student, addressing their unique needs against the backdrop of what actually produces results. Walden University’s MSed program offers 17 specializations, six of which are available in an accelerated format that can be completed in as little as 12 months, for as low as $10,000. Note: you probably noticed Walden University’s staggeringly low graduation rate. Since they’re a distance-learning institution, you can expect that the vast majority of their students (like you) may be busier than most on-campus students, and as a result they may simply be taking longer to graduate (which would mean they don’t “count” towards the graduation rate). That being said, this is still a very competitive school. ASU Online’s master in educational leadership program is ideal for those wishing to go into administration. You can complete this program online, with “lab-work” in your own classroom or an approved school placement. To be eligible for this program, you must have a bachelor’s degree and at least two years of pre-K through 12th grade teaching experience. Basically, it’s way easier to participate in class discussions (that one guy you know won’t dominate the conversation), and online students actually perform in the industry as well as on-campus students. Note: If you’re not a resident of Arizona, you’ll want to see ASU’s state regulatory authorizations page. Drexel University offers four unique online master of science in education programs. Master of science in higher education: This program explores the evolution of higher education models from the colonial era to modern times, showcasing how today’s virtual models have equipped educational organizations around the globe. You’ll learn about the relationships between institutions and the communities they serve, and acquire the skills and expertise you need to manage complex administrations. This is for students who want to pursue a career in administration in higher education. Master of science in educational administration: This program is for those who want to go into administration at the elementary or secondary level. You’ll be equipped to mentor teachers and coach them with practical skills and proven leadership methods. Master of science in education improvement and transformation: This program is designed for teachers who want to help their students adapt to the ways technology and education are evolving. You can choose from 12 specializations, including a “custom” specialization that leds you decide exactly what area you want to grow. The curriculum for this program includes the coursework you need to earn your PA Instructional 1 Special Education PreK-8 or 7-12 (as long as you already have a PA Instructional 1 or Instructional 2 teaching certificate in a corresponding area). With the exception of the MS in educational administration, each of these programs offers additional concentrations. DU’s School of Education has an online “open house” if you want to see what online learning at Drexel is like. The open house concludes with a Q & A session with a program manager. Note: Drexel University’s tuition is extremely high, but online students pay 25% less than on-campus students. Some of these programs can be completed entirely online, and some will require field experience. The “other” M.Ed programs are for those who wish to teach adults (although the “orientation and mobility” program allows you to teach both children and adults). To help you get a feel for what it might be like to be a student at UMass Online, they’ve prepared a six minute course demo for you. Note: As of the time we wrote this post, if you live in Alabama, Arkansas, Kansas, Maryland, or Minnesota, UMass Online will NOT accept you into some of these programs. If you’re in one of these states, click on your desired program and scroll to the bottom of the page to see if this applies. The master of education in the health professions degree is a collaborative program shared by the colleges of business, education, medicine, nursing, and public health. This means you’ll have interdisciplinary instructors from each of these colleges. To enroll at Johns Hopkins University, you must have a cumulative GPA of 3.0. Capella University’s master of education degree is fully online. There doesn’t appear to be any field work, or a requirement that you have your own classroom. 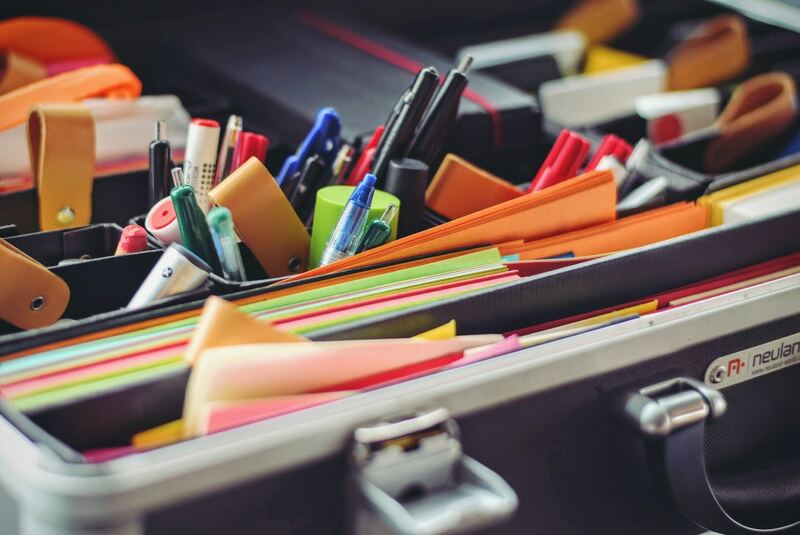 Additionally, the courses you’ll take here are immediately applicable to your role as a teacher, so if you do have a class of your own, they’ll start to benefit right away. The “guided path” gives you more direction and lets you take 1-3 classes every 10 weeks. You’ll have weekly assignments and classroom discussions, and the price you pay is based on the number of credits you take. To choose the “guided path” you need a bachelor’s degree and a 2.3 cumulative GPA. The “flexpath” lets you take unlimited courses over a 12 week period—you just have to complete the courses you sign up for before you can take on more. You can have a maximum of two simultaneous courses. This path skips the deadlines and classroom discussions: you completely set the pace. This path costs $2,300 per quarter. In order to choose the “flexpath” option, you need a bachelor’s degree (or five years of relevant experience) and a 3.0 GPA. Fun fact: You can transfer up to 20 credits, which is about 40% of your degree! Note: This program does not lead to license, endorsement, or other professional credential. Kentucky residents are not eligible for certification, endorsement, rank change, licensure, renewal, etc. by the Kentucky Education Professional Standards Board. In addition to a bachelor’s degree, you must take the GRE or MAT. Depending on the program you choose, you’ll also need a minimum cumulative GPA of 2.6-3.0 from your undergraduate studies, and possibly as many as three years of relevant work experience. You can hear directly from former students and faculty on their hub for online learning. The MEd. in curriculum and instruction has 18 concentrations, and you can even select two concentrations through the dual concentration degree program. Before you get emotionally invested in an online master’s degree program, take a minute to verify the accreditation of the school you earned your bachelor’s degree from. If your undergraduate degree was accredited by a national accrediting body and not a regional accrediting body, your previous education may not transfer. It would be really disappointing to learn that after doing a bunch of research and settling on a program, so take the time to see who your previous degree is accredited by, and choose a master’s program that recognizes that accreditation. We can’t tell you exactly which school is the best choice for you—and you shouldn’t let anyone else do that, either. You have to weigh the factors that are most important to you and let that guide your decision. Can you afford to take time off work, or attend intensives? Are you more interested in the getting the credentials, or what you’ll learn, and how it will affect your students? Choosing a school is a huge investment—both in terms of what it immediately costs you and how it affects your life. So take your time. It’s also worth noting: while we used existing “best of” lists to show you only the best of the best online master’s in teaching degrees, there were very few schools that these other lists agreed on! If anything, we hope that’s encouraging to you—people who make their living rating schools couldn’t even agree on the best ones. So whatever you choose, as long as it’s right for you, it’s probably going to be the best choice.